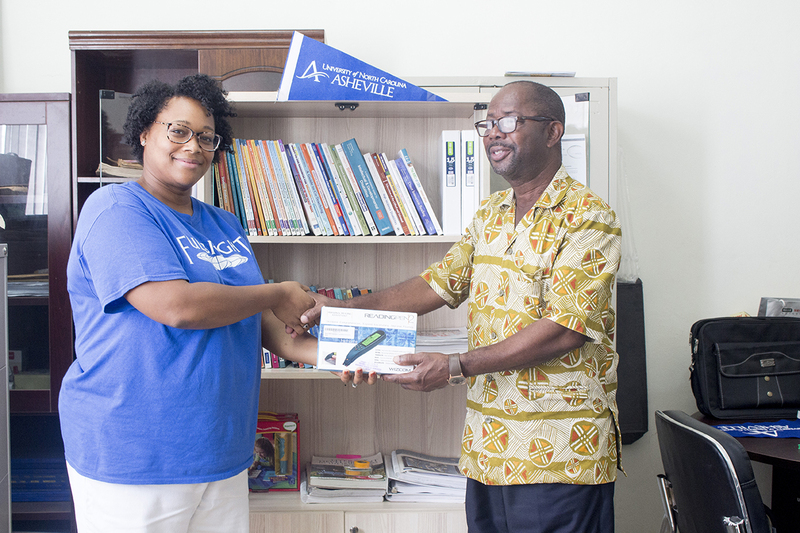 A benefactor of the 2017/2018 Fulbright Scholarship Program at the Special Education Department, Professor Tiece Ruffin has donated 79 books and some reading pens to the Department and its Reading Resource Centre. The presentation took place at the office of the Head of Department of Special Education at 9:00am on Friday, 13th April 2018. This donation will help the Department, the Faculty of Educational Studies, and the Effutu Municipality achieve its aim of helping students with special needs achieve their goal and aspirations. According to her, the Fulbright scholarship is a flagship international exchange program of the US government and it is a collaborative effort with the University of Education, Winneba. 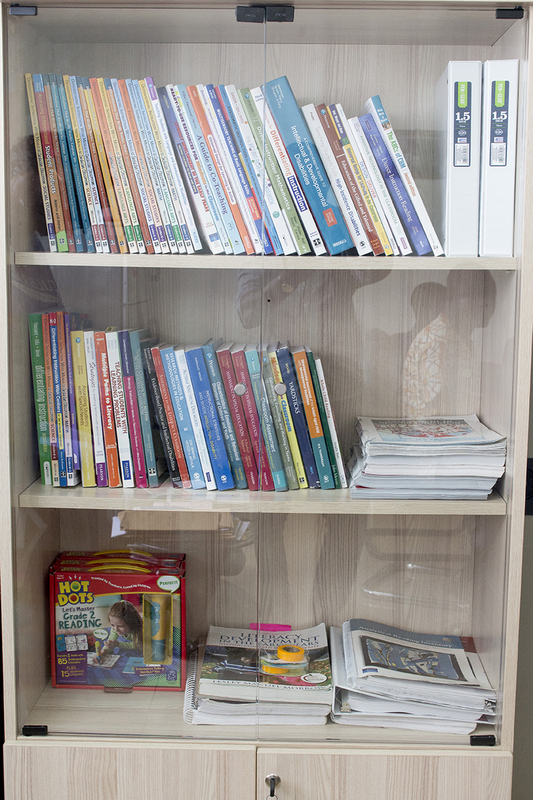 Scholars under this scholarship are entitled to book allowance which is used in the purchase of textbooks and other learning materials needed on the job. Scholars are required to donate these books and educational material as their contribution to help the growth of the society. 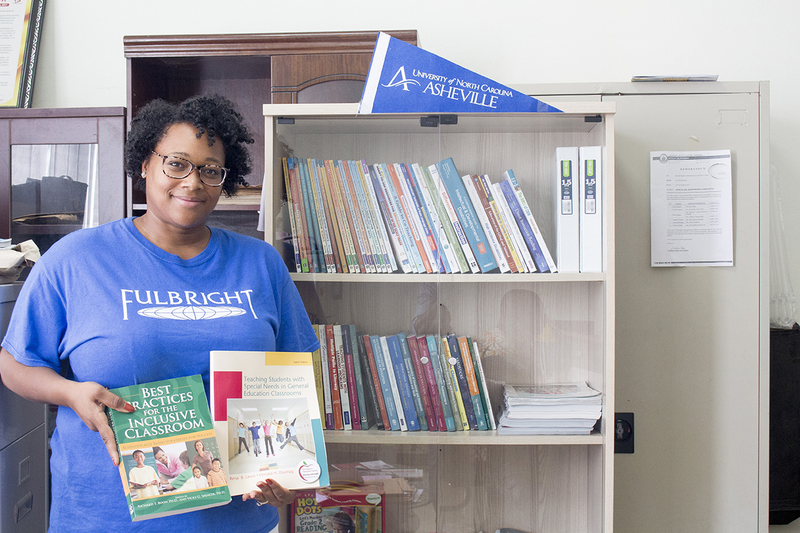 She stated further that the collaborative efforts of two publishers, Pearson and Prufrock Press who funded her with 40 books and students of North Carolina Association of Educators-University of North Carolina, Ashevile, all contributed to assist the Department with these learning materials. A Senior Lecturer at the Special Education reading resource centre, Dr. Anthony Mensah commended Professor Tiece Ruffin and her team for their kind gesture to the Department of Special Education. 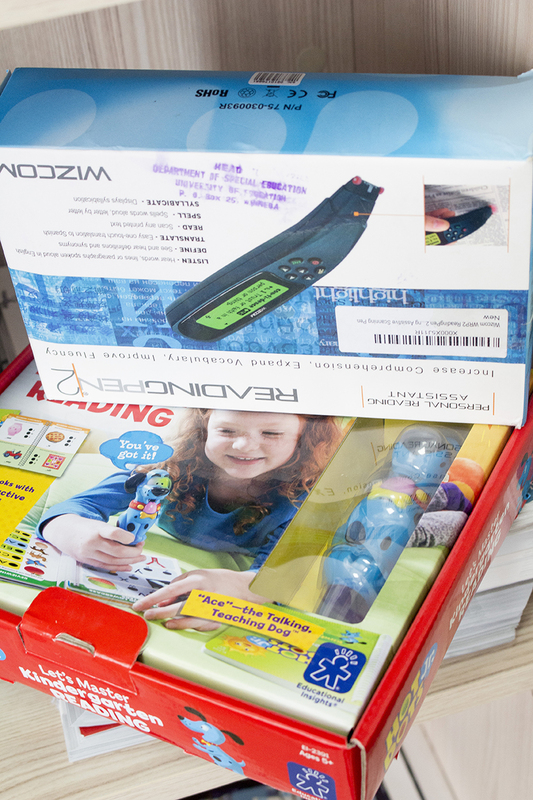 “We are in a technological age and it is an important facility needed for learning, Therefore, with the arrival of the Technology for reading donated by Professor Tiece Ruffin and her team, that great vacuum has been filled”. He said. 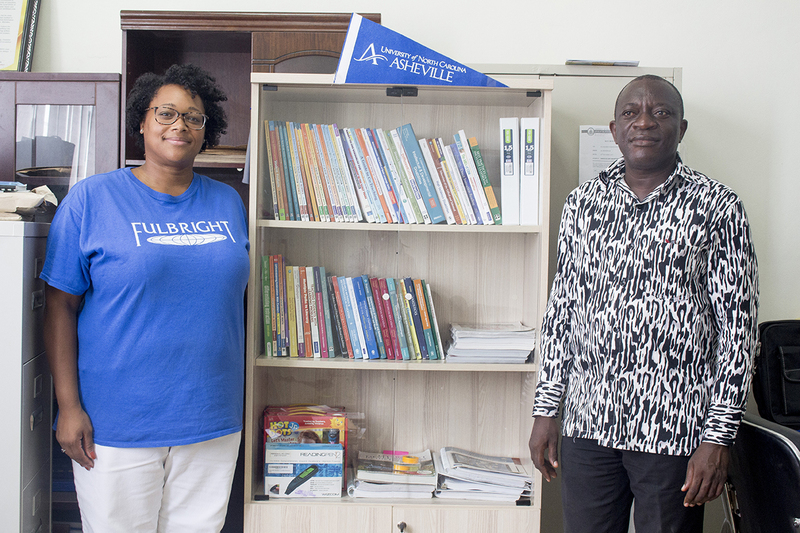 Dr. Mensah added that this donation made by Fulbright will pave the way for other scholarship programs and organisations to assist the Department and its Centre with more educational materials.